VATICAN CITY (CNS) — The ancient practice of orienting church buildings East to West — with the entrance facing West and the altar toward the East — was symbolic of the connection that exists between light and hope, Pope Francis said. “What does it mean to be a Christian? It means looking toward the light, continuing to make a profession of faith in the light, even when the world is wrapped in the night and darkness,” Pope Francis said Aug. 2 at his weekly general audience. 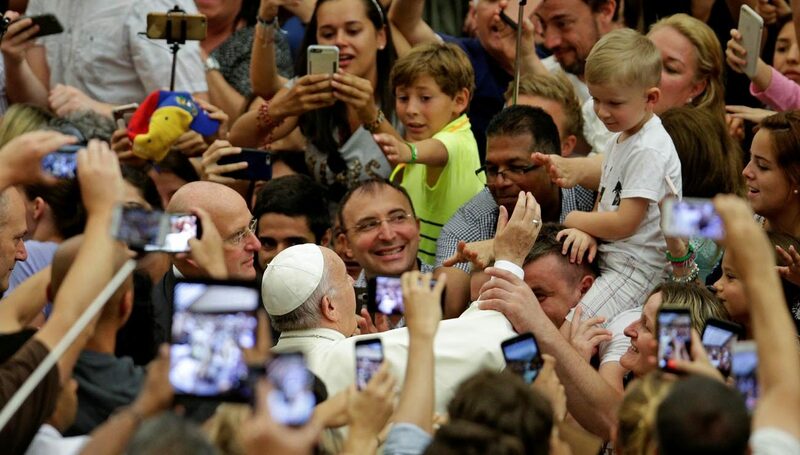 With temperatures moving toward a forecasted 100 degrees, the pope resumed his audiences indoors after a month’s hiatus. He also resumed his series of audience talks about Christian hope. In fact, he said, using the “language of the cosmos,” it was customary to have those about to be baptized proclaim their renunciation of Satan facing West and their profession of faith in God facing East. Pope Francis did not touch on the debate about whether priests should celebrate Mass facing East, with their backs to the people, but focused on light as a symbol of Christian hope. NEXT: Is yoga considered communing with devil?